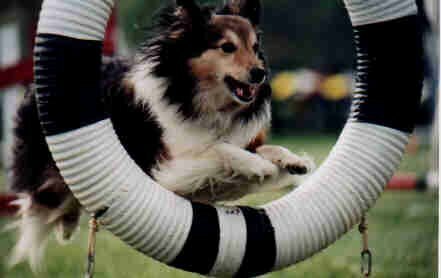 The sport of Agility started in the mid-1970's in England as a sort of "half-time" show. 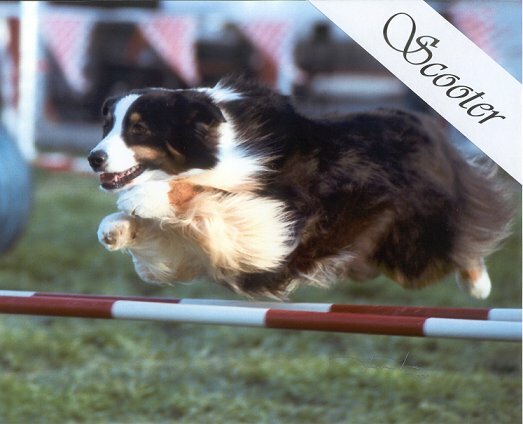 Since then, Agility has become a sport of it's own, drawing thousands of British spectators. 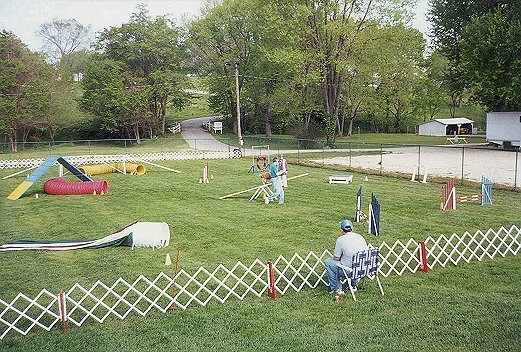 Now Agility Trials are becoming popular in the United States. 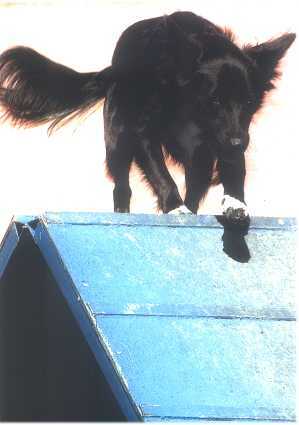 Agility is similar to equestrian show jumping. It is a series of obstacles (including, but not limited to: jumps, tunnels, dogwalks, A-frames and weave poles) which the dog must negotiate without faults within a standard course time period. The fastest dog who completes the obstacles correctly may qualify. 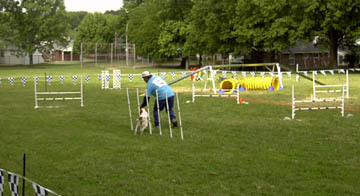 In competition, dogs run without leases or collars; you direct the dog around the course using verbal commands, hand signals and encouragement. This sport is for everyone - male female, young and old. The sport is for all dogs also - whether they are big or small, purebred or mixed. Best of all, Agility is lots and lots of fun. When taught patiently, dogs absolutely LOVE to do Agility. Agility is one of the best confidence builders there is. Dogs develop more coordination, strength, and improve their obedience skills. You gain a much better understanding of the way your dog thinks, and the dog may also understand you better. 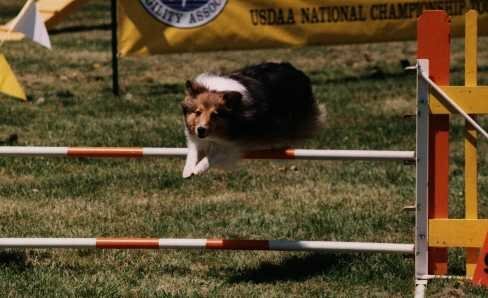 Set any goal you wish for yourself; you might just want to have a wonderful time with your dog, or you might just want to like to earn Agility titles for your dog. The Greater St Louis Agility Club holds training events periodically where you can bring your dog and familiarize yourself and your dog with the equipment. It's a great way to get a taste of the sport of Agility - and it's just great fun, too! Books, brochures and info on agility. Novice A or B That is the Question. Learn the difference between the two. "On warm days, stop to lie on your back on the grass."